More than one fold challenge. This was a real challenge for me. I usually make your traditional card, so it took a lot of thinking to decorate this one. The best part is that I was able to use a lot of Riley and Company stamps on it! I used Coffee Riley, How Do I Take My Coffee? , and Single Coffee Cup. You can find all of these stamps at the Riley and Company Store. 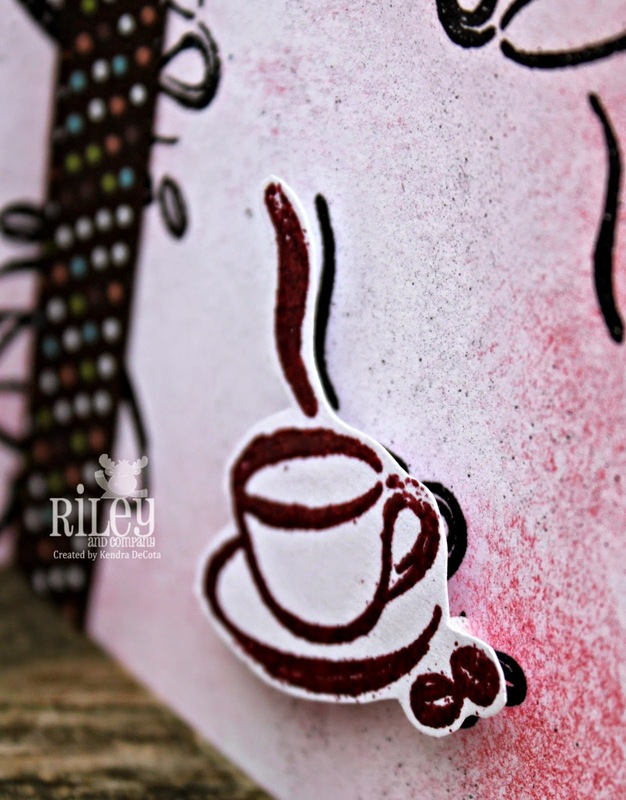 The card is made by embossing the coffee cup in black and sponging red around the edges. 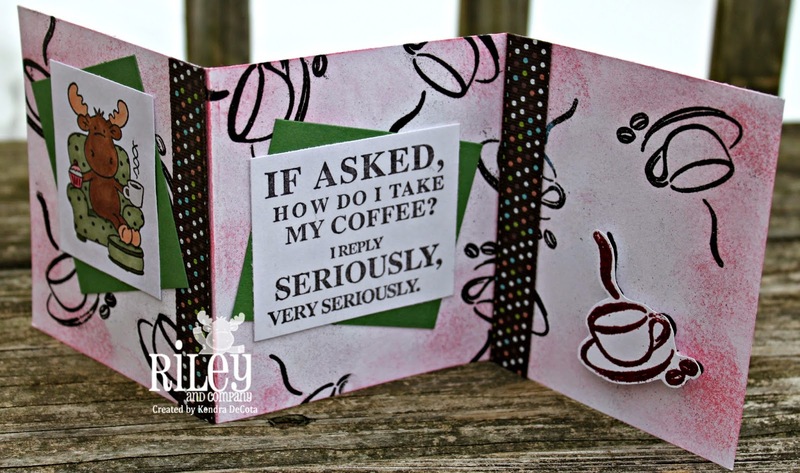 I also embossed one red coffee cup and popped it up on the right panel. 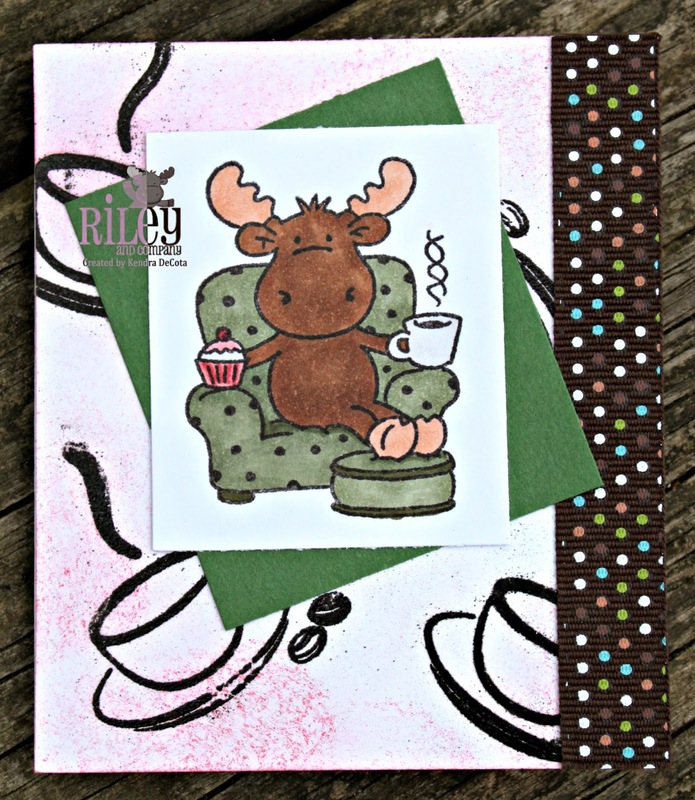 Coffee Riley is colored with copics and backed with green. The ribbon is actually ribbon tape, and I think it really made the panels flow. Now this moose sure knows how to enjoy life! Coffee and a comfy chair - sounds good to me! Great "food related" challenge for Open-Minded Crafting. Glad you could join us - Good luck. Super cute! Thanks for entering Open-Minded Crafting Challenges.